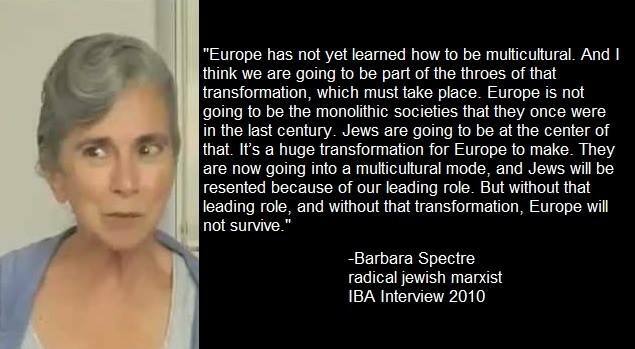 Why Multiculturalism is not good for this planet or any Race / Nation. 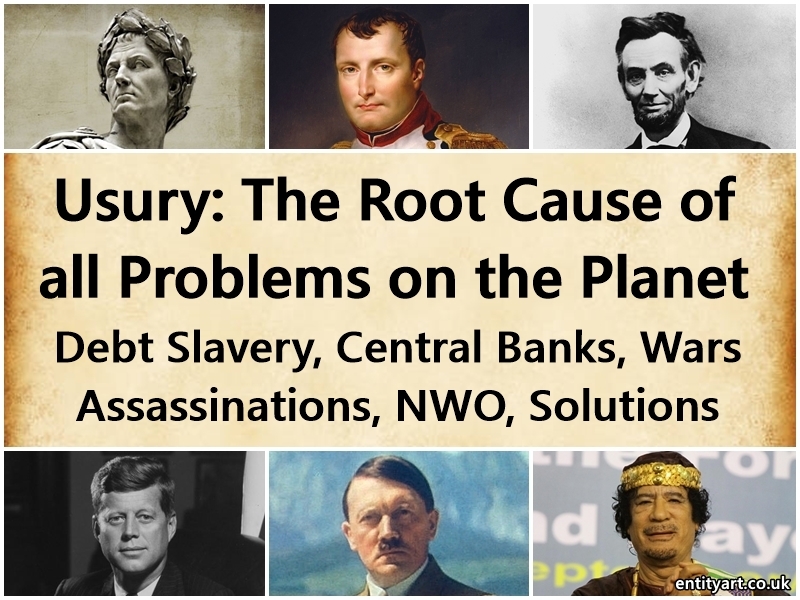 Create a successful Nation – Race / Spirituality / Metaphysics. Years ago I would be classed as very ‘liberal.’’ I was very naive and ill-informed. I did not understand not only how this planet works, but also how the universe works. I grew up in London – very multicultural – had friends of different races growing up – I taught in very mixed schools after university. 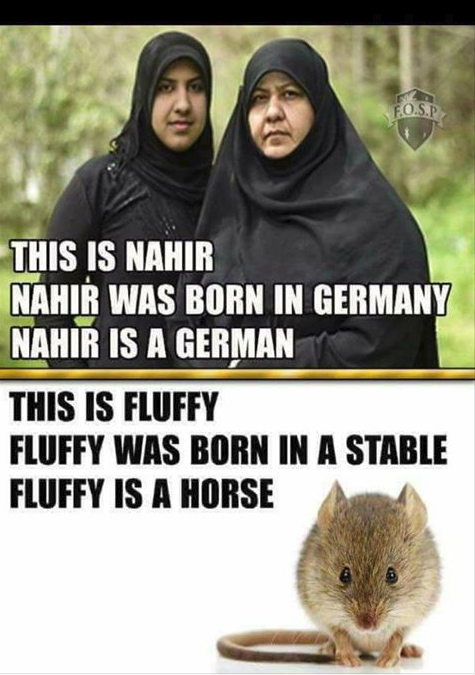 I have met friendly Black people, friendly Muslims, friendly Indians… But now that I am knowledgeable and awake, do I think that these people, with totally different genetics, should be living in England? No, I don’t. Should people be living in any nations that are the homelands of people that they are not closely genetically related to? No. I do not think it is good for the planet, or for the different races. I believe it is for everyone’s benefit that this does not happen. 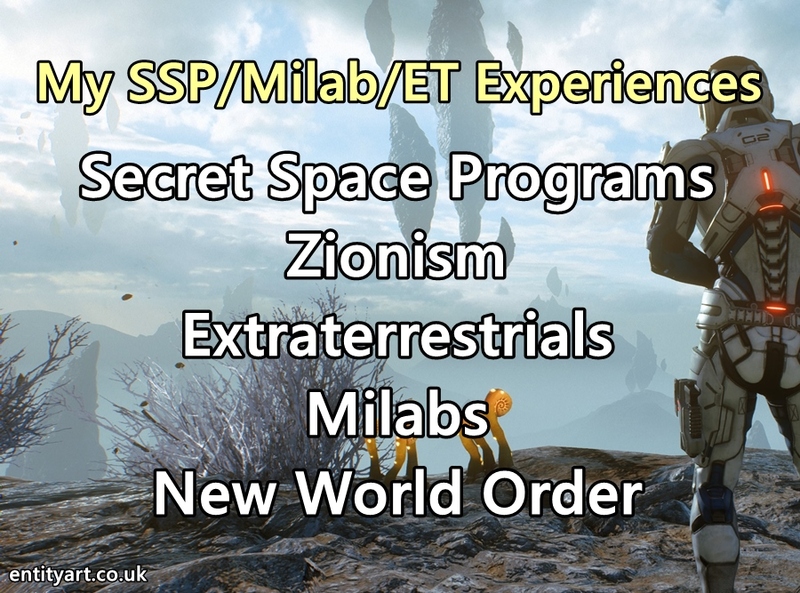 There are so many sociological and geopolitical reasons for this – and there are scientific, spiritual and metaphysical / cosmic reasons as well. I do not dislike these people I have known, and do know, from other genetic backgrounds – I certainly wouldn’t be unnecessarily unpleasant to anyone just because of their race / genetics… and you won’t find me using any racial slurs. 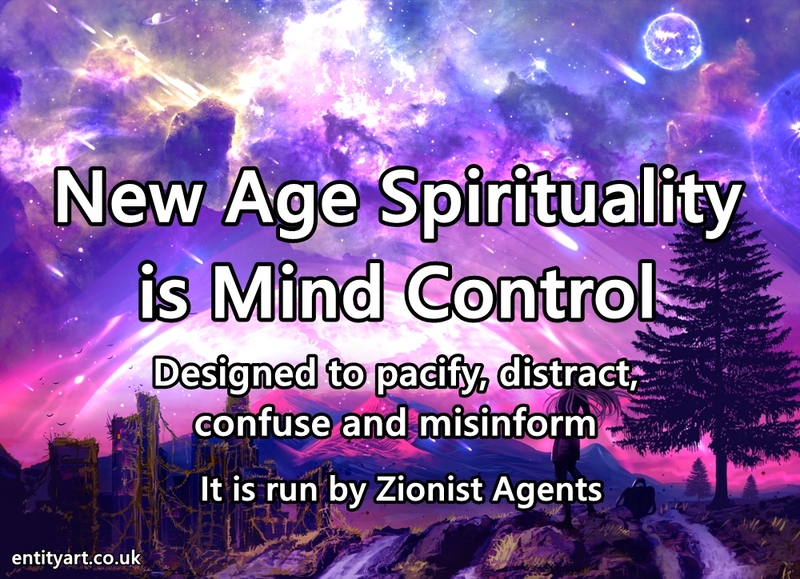 Everyone has been manipulated on this planet by a certain (((tribe))) – Mind Controlled by (((them)). 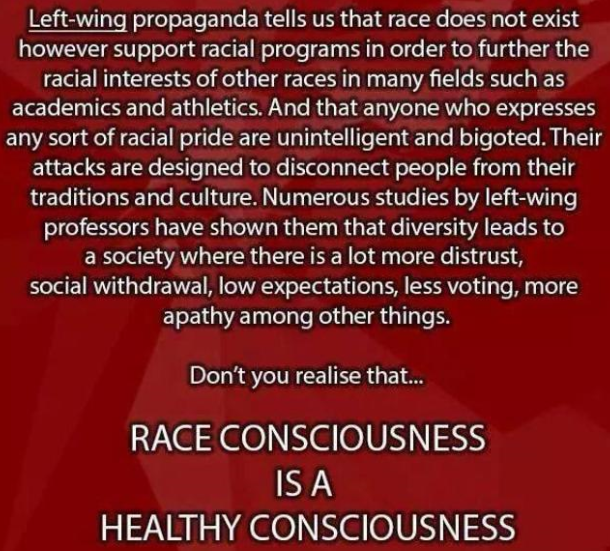 Pretty much all races have lost their way – and some have been manipulated and diverted more than others. 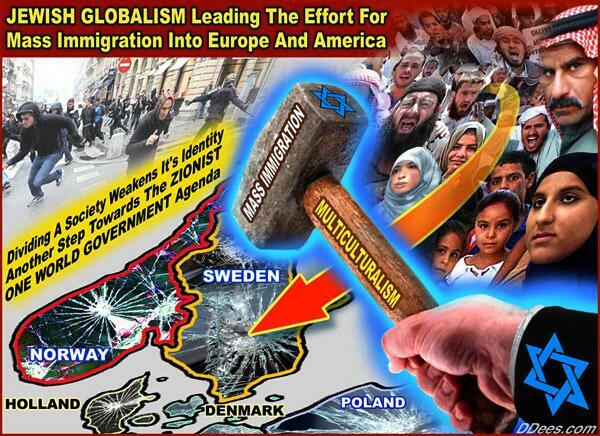 Multiculturalism is possibly the biggest tactic being used to bring forth the oppressive (((New World Order))). 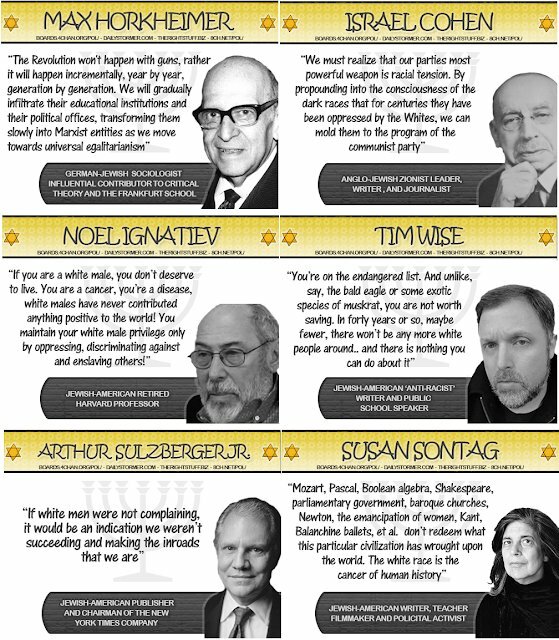 My judgments on why every race should live in their own homeland is based on facts, on nature, on cosmic truth… and what is best for every race, including my own. People of a different race should be able to visit another Nation/Homeland, but they should not be able to become citizens. Becoming Racially Conscious is a large part of being truly awakened to what is occurring on this planet. I first woke up via spiritually and meditation and then began to research a great deal, attempting to understand the world. As my consciousness rose, as my understandings developed metaphysically, historically and geopolitically I came to see clearly that this planet is all about race, as is the universe. 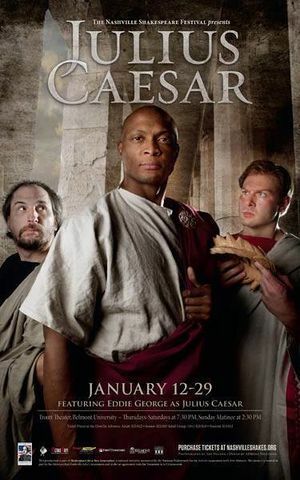 It’s about DNA, Genetics, Race and Ancestry. Genetics and DNA is so socially, psychologically, spiritually and metaphysically / cosmically significant. 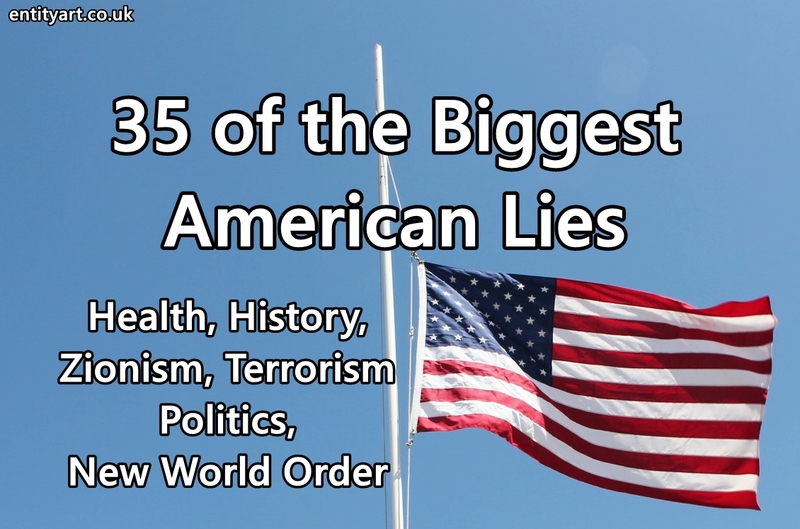 Large portions of the world have been brainwashed – have been dumbed down and subverted. 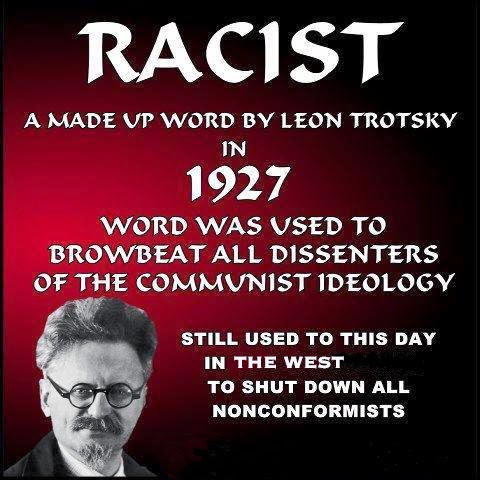 Terms like ‘racist’ were created by (((them))) to stop people saying anything racially true and factual for fear of being labelled a ‘racist’. We cannot truly understand the world and the universe without being Racially Conscious and understanding the significance of DNA and Genetics. Being Racially Conscious is absolutely normal. The problem we have is that through programming and mind control many people associate any discussion of race with hatred and ‘bigotry’ – when it is just nature we are talking about… for example – we can discuss different cats predispositions, behaviours, genetic differences, social structures etc – but humans ‘oh no don’t talk about that’… Humans are a part of nature too and there are different races or subspecies of humans on this planet. 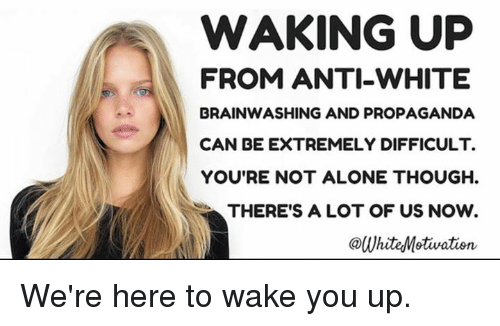 It is ironic, as it is these people – these naive brainwashed ‘leftists’ or ‘SJWs’ who are being ‘racist’ – as to them it’s OK for a Black person to talk about these issues, but White people… no, they are not allowed. 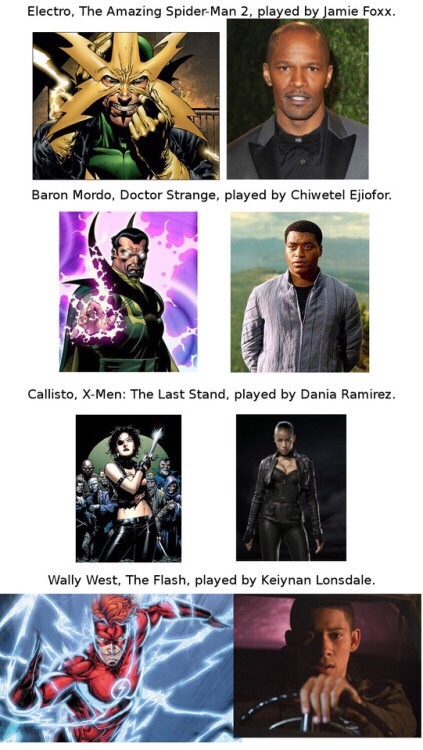 They call White people these names only because they are White. 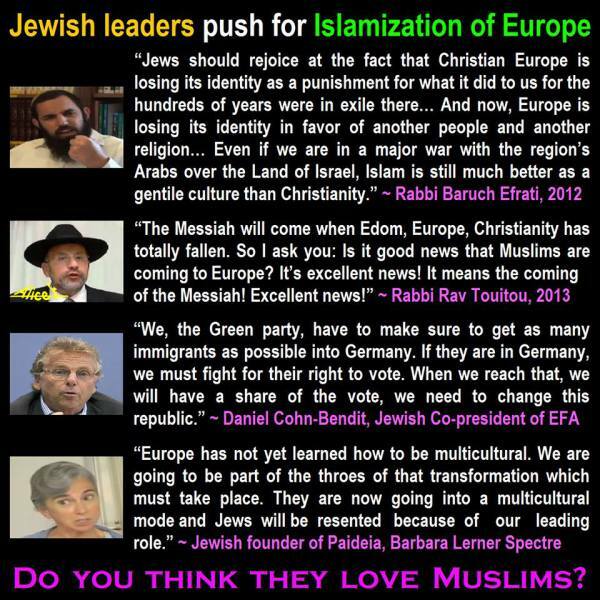 This is the result of many decades of brainwashing via the media that (((the tribe))) owns. When all people are trying to do is what is spiritually and metaphysically / cosmically normal. It is perfectly natural and normal for people to look after their race. Your race is your extended family. Cats: Certain subspecies of cat behave a certain way and have certain predispositions. With regards to family structure: Lions live in family groups within a hierarchy, which is different to many other types of cat, and the females hunt for the group – but in contrast to this, leopards are solitary and males have to hunt. In some cat subspecies the males have nothing to do with the babies – but in other subspecies they have a lot of contact… etc etc…. We can do this for many different animals and look at the great differences in the behaviour in the subspecies within these animal categories. Humans have more consciousness than most animals but that certainly doesn’t mean we are not a part of nature and affected by DNA and Genetics. Humans: Certain subspecies of humans are animals lovers, are more artistic, are more caring of the natural world, are more agriculturally inclined and are the inventors and civilization builders. Some races strive for continual improvement and have high work ethics. Some races are more inclined to have higher levels of testosterone and are more aggressive. Some are more impulsive. Some more hedonistically driven. 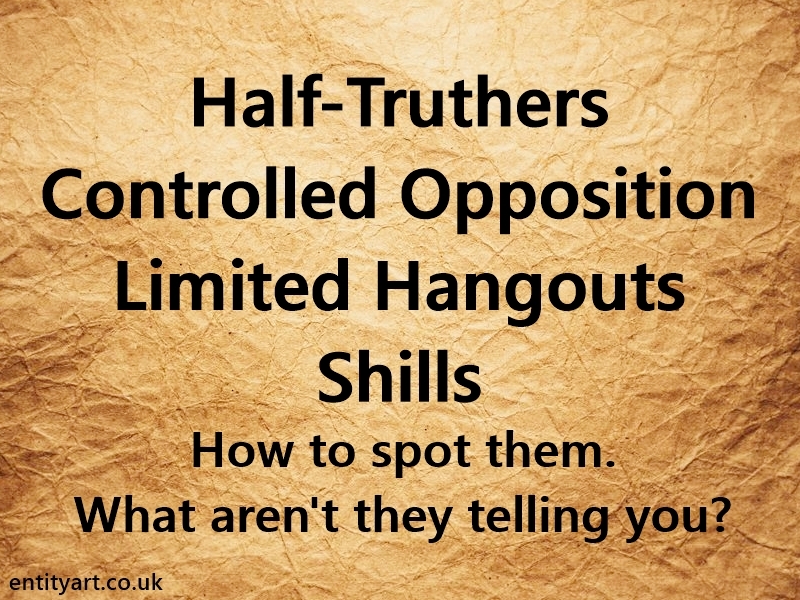 One race or subspecies of humans is very prone to be cunning manipulators and exhibit parasitical behaviour. Some races are more family or community orientated. Some races have different family structures and views on the gender roles. Cultures and traditions have developed via these genetic differences: DNA. Different types of civilizations developed on this planet via these genetic differences – and in some places civilizations didn’t really develop at all because of these genetic differences. We can also not ignore the very different average I.Q ratings of the different races. Although I.Q testing does not measure all aspects or types of intelligence, it does clearly show a difference between racial groups. It is important to note that DNA and Soul must be closely related. There must be a strong relationship between DNA and Soul. A Soul will incarnate into certain bloodlines – into certain races… over and over. The Soul energy must be compatible with the DNA and genetics. Why would a Soul abandon its race – it’s people – it’s ancestors, that it has been incarnating with for many centuries? It wouldn’t. 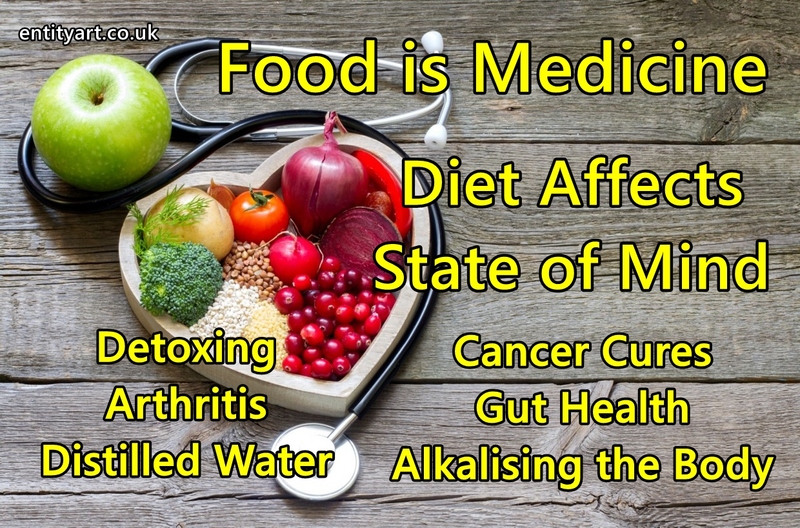 DNA and Genetics is metaphysically and spiritually significant – ‘It is in my blood’ – ‘it is in my DNA’ – ‘they are my blood’ – we all use these phrases – ancient metaphysical knowledge coming through subconsciously. Our DNA and blood holds memories – genetic memories. 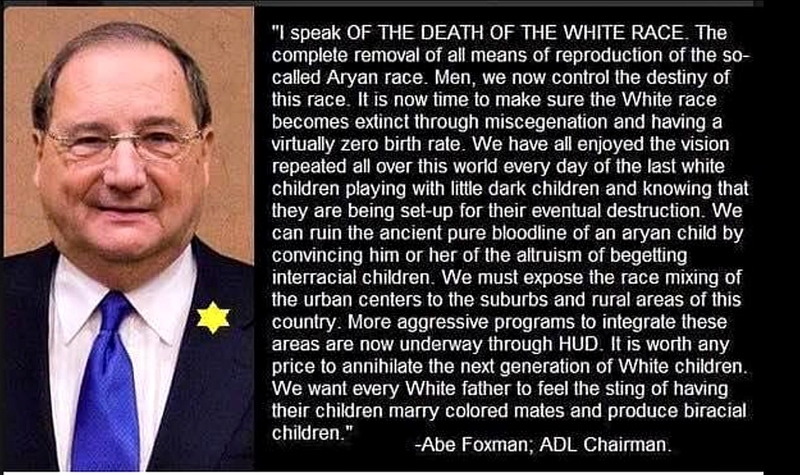 Nobody is going to look out for the Aryan / White European Bloodlines but Aryan / White people. 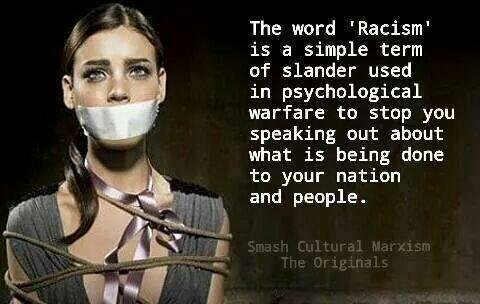 Everyone is wired to protect their own race ‘when push comes to shove’. 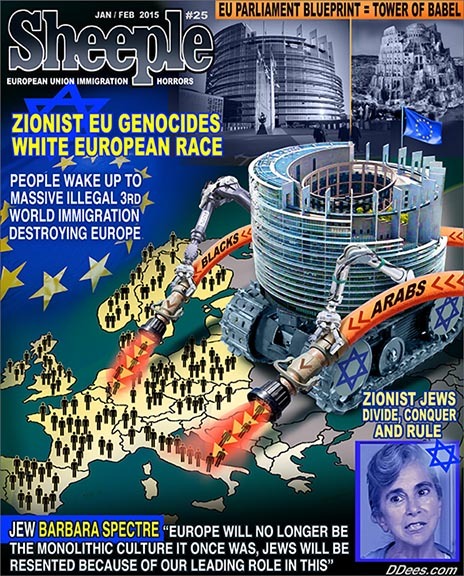 White European’s naivety, over-tolerance and altruism is being used against them – as well as their false sense of guilt regarding falsified historical events: A minute amount of White people had slaves – the slave trade was run by jewish people not White people – White people were ones who fought to free the slaves. 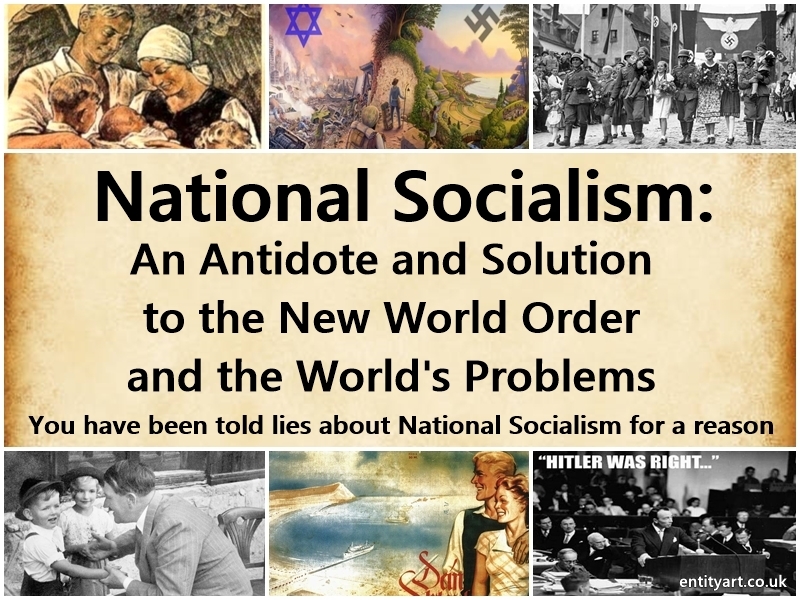 And the National Socialist Germans were not evil, and the ‘holocaust’ is a massive lie – a hoax. 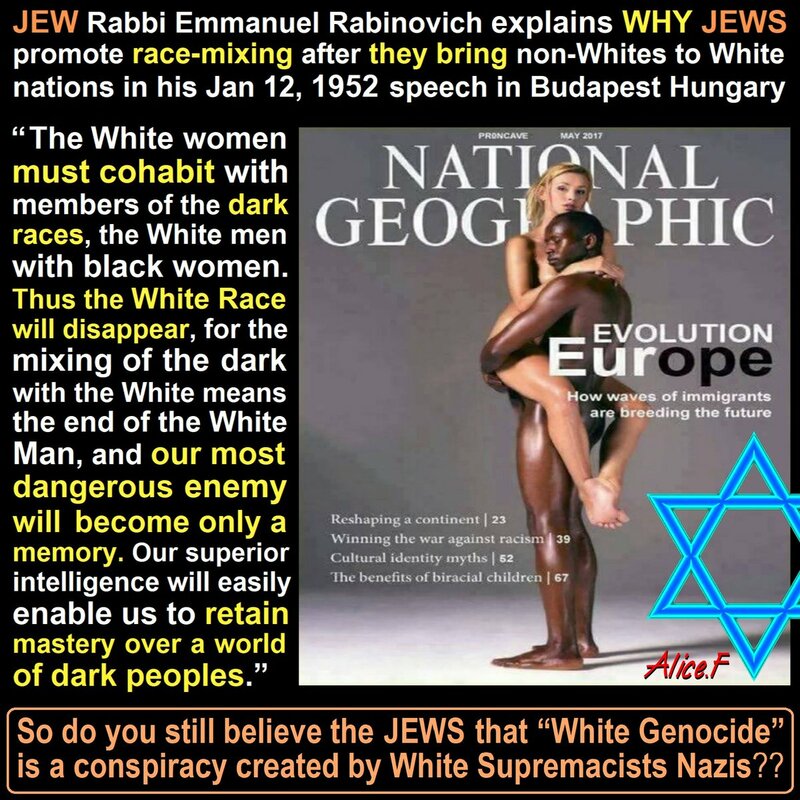 Aryan people have brought a great many brilliant factors to this planet – but International Jewry own all the media and have a hatred of all things Aryan – so they lie about our history. 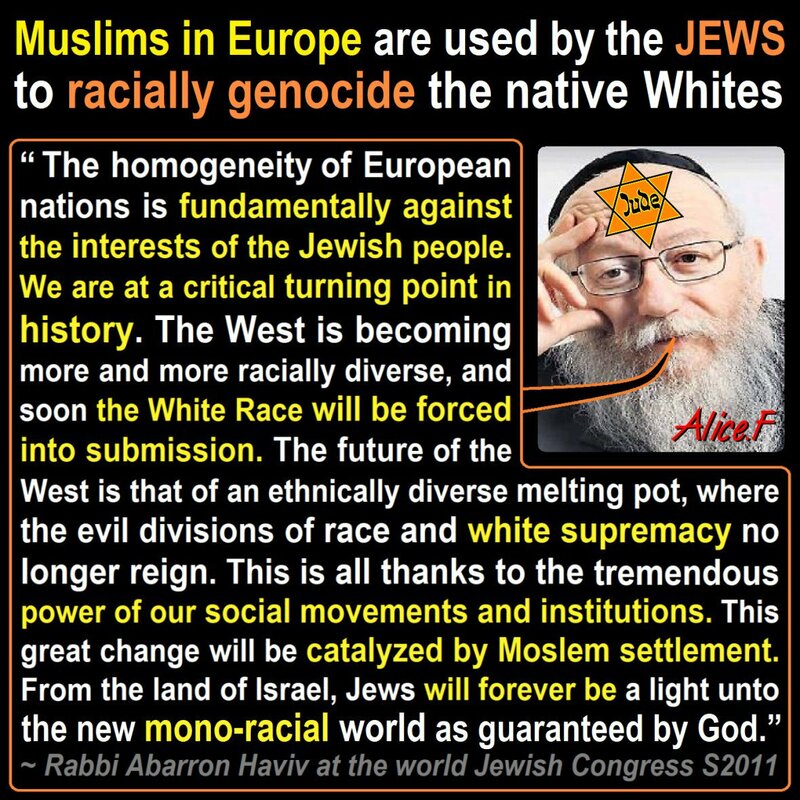 The anti-White propaganda from the jewish owned media is incessant. 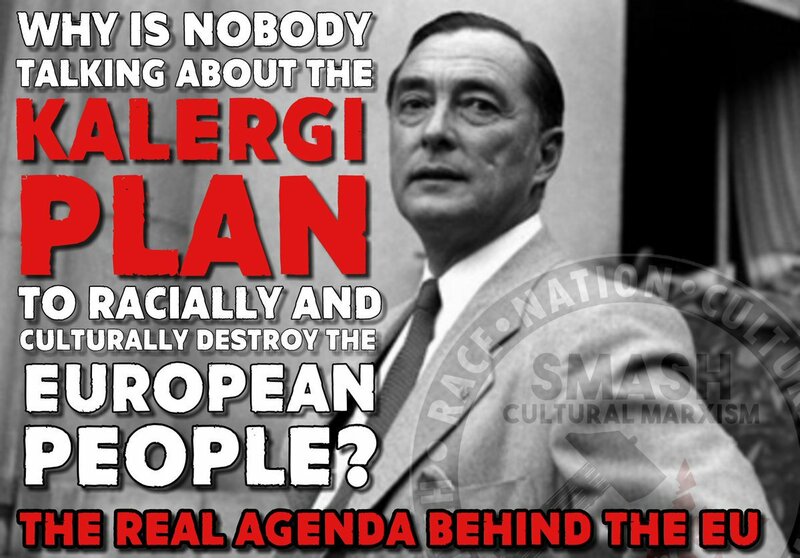 This hard promotion and implementation of multiculturalism and diversity for White Nations (The Kalergi Plan) is taking away our homelands, and will lead to the destruction of the White Race. 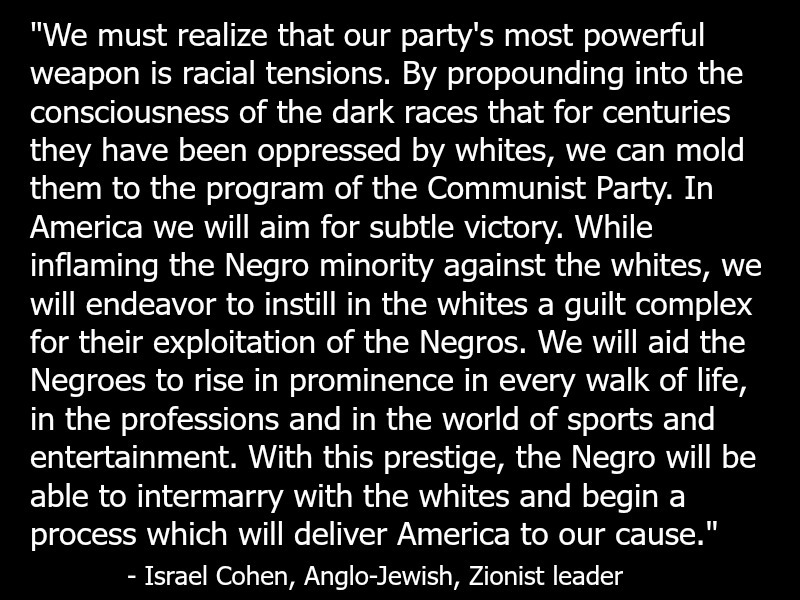 White people are not behind the implementation and promotion – it is International Jewry and the Zionists. People have to take a stand and say: ‘No more immigration’. We must preserve a future for our Race – for our extended family – for our people – for our Soul family / group. 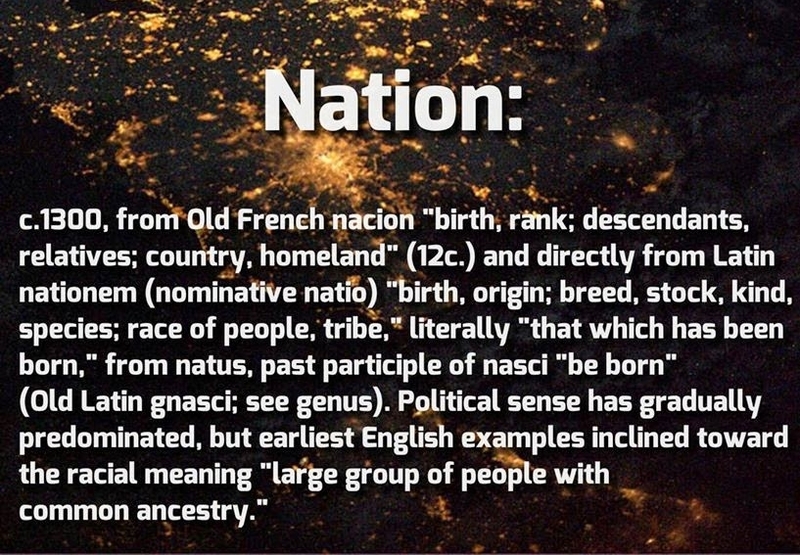 A definition of a Nation. 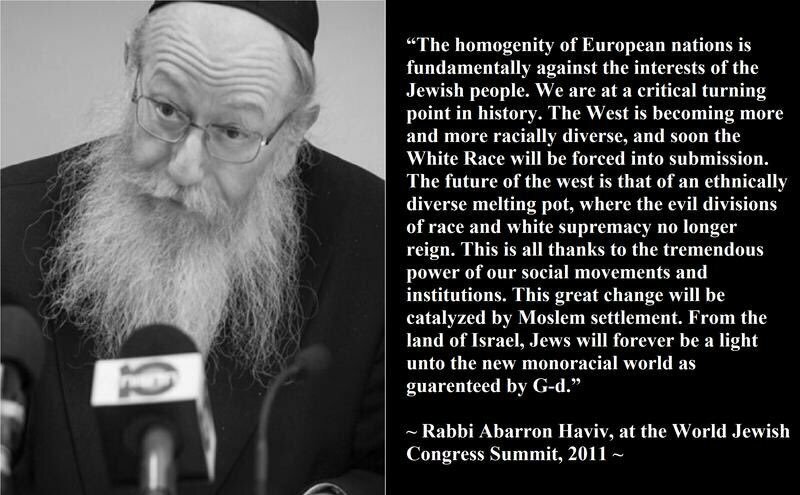 But the (((tribe))) and the (((Cultural Marxists))) will tell you something different – and they control all the media. I like to be objective and look at what is fair. 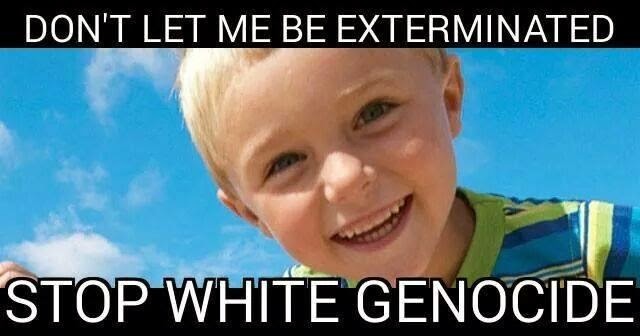 I will openly admit I prioritise my own race (White European / Aryan people) – and I expect everybody to be like this – it is perfectly normal – this is how nature and the universe works. I am also evolved and I can step back and be objective. What is fair? It is fair for each race to have a homeland – somewhere they can call home, where they can work together as a National Racial Community and build that civilization. A civilization that reflects their nature, that reflects the best of their DNA and Souls. When a conscious intelligent race of people inhabit land together it is much more harmonious – and it is much more likely that you can create a sense of National Community – working for the greater good of the people. 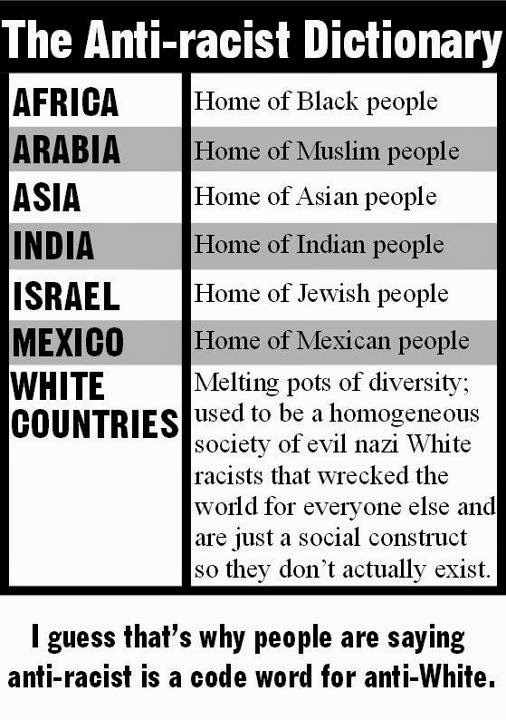 Here is a list of why Multiculturalism is not a good thing on this planet. I am more experienced in this subject than the vast majority of people… as well as growing up in London I taught in very multicultural schools, and worked in a housing association in multicultural London before I became a teacher. I know from direct experience. I am also well researched. The figures and statistics back me up as well. After this list I will discuss many of these points and some of my own first hand experience. Immigrant races naturally congregate within the host country and will look out for their own races interests above all others. 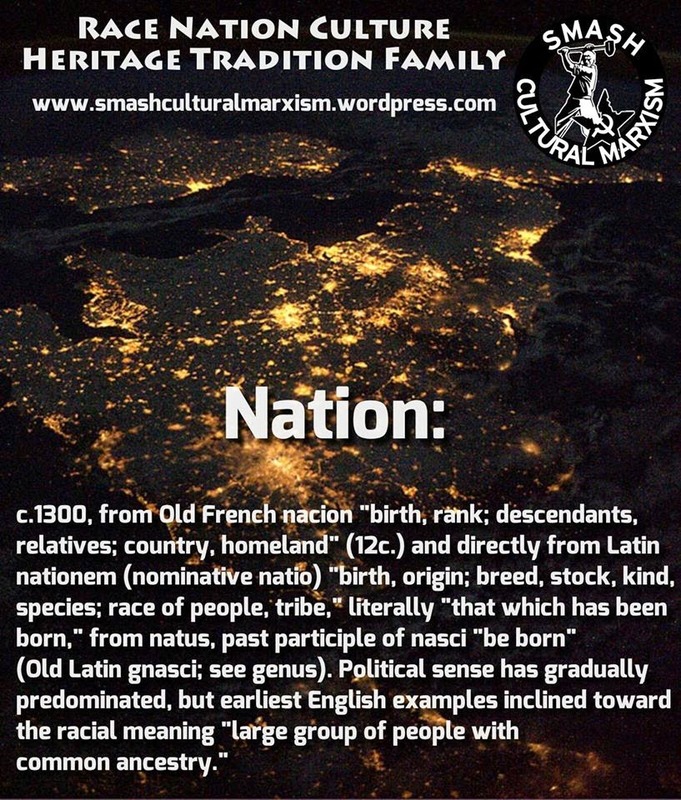 You can’t build a feeling of National Community with multiculturalism – the only way you can create truly successful, abundant, happy nations that are free of homelessness and poverty is through a National / Racial Community ethos. History has shown us this. Each race has the right to a homeland – to feel safe with their own people… Your race is your extended family. 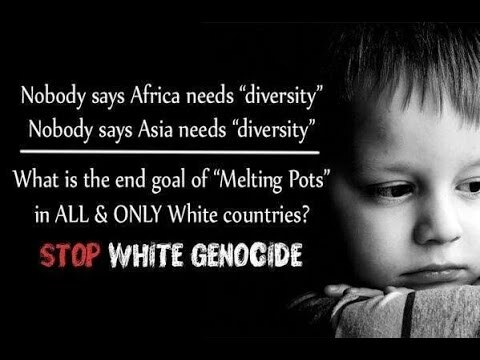 White people are losing their homelands. It erodes patriotism and Nationalism and it subverts countries who are protective of their race, country, culture, ancestry and traditions. 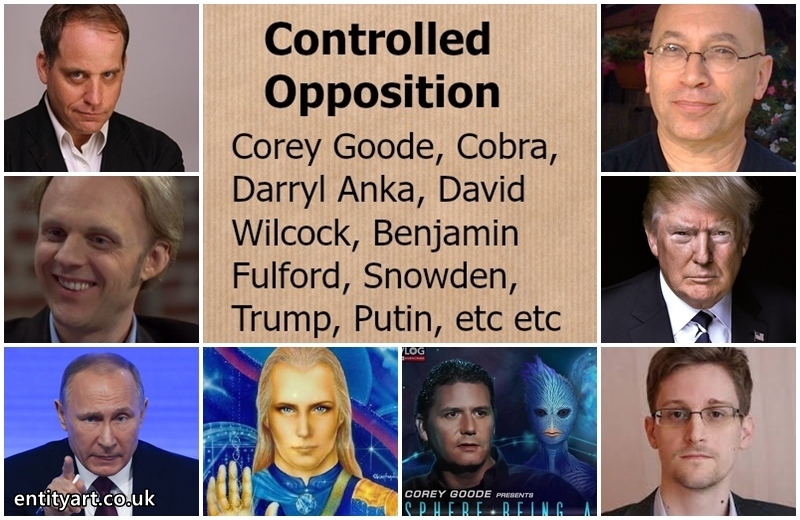 The sort of countries who would stand against the (((New World Order Agenda))). 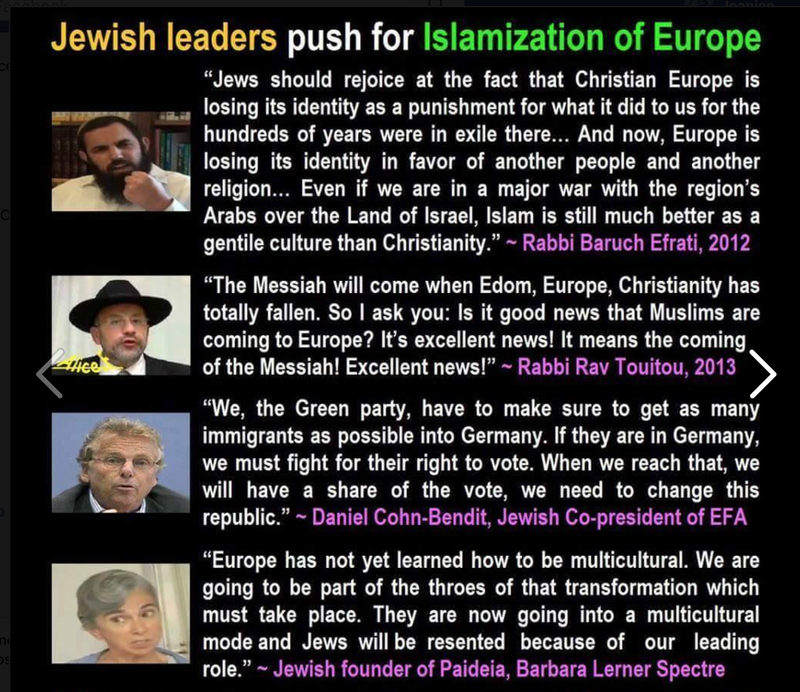 Multiculturalism is one of the International Jew’s main weapons in dominating the planet. 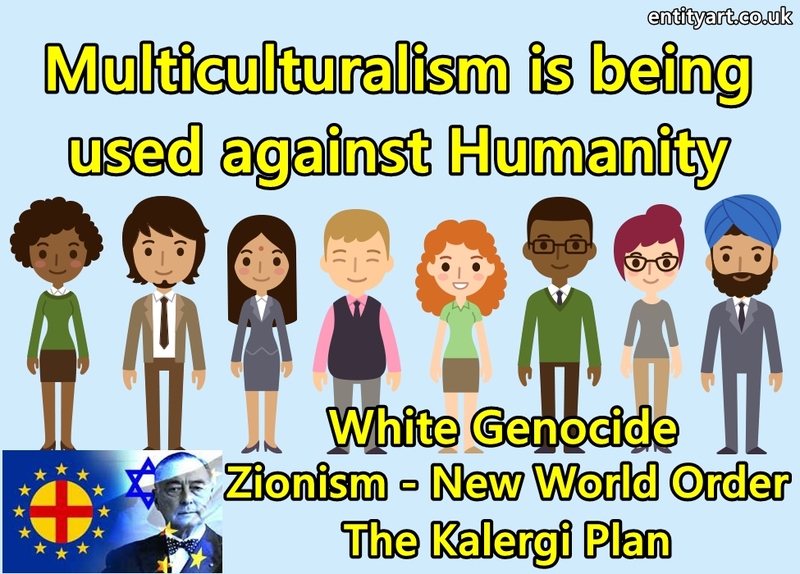 Multiculturalism is mainly being used to destroy the White Race – mainly through miscegenation. 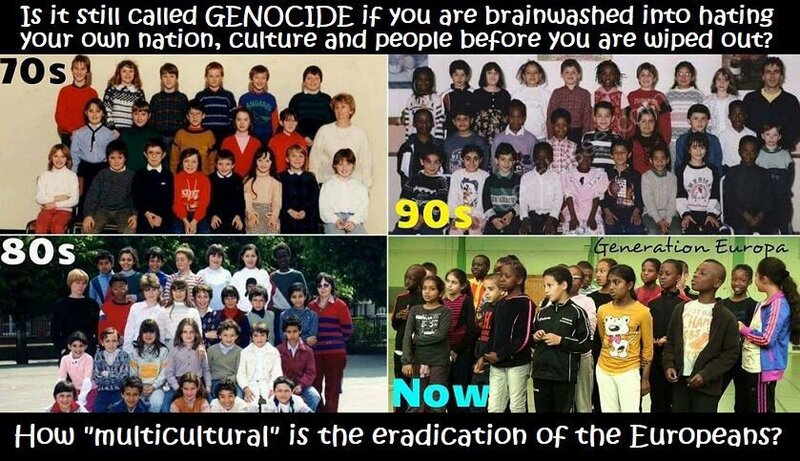 Multiculturalism combined with the programming and brainwashing via the media leads to race mixing / miscegenation – which in the long term leads to the extinction of the host race. 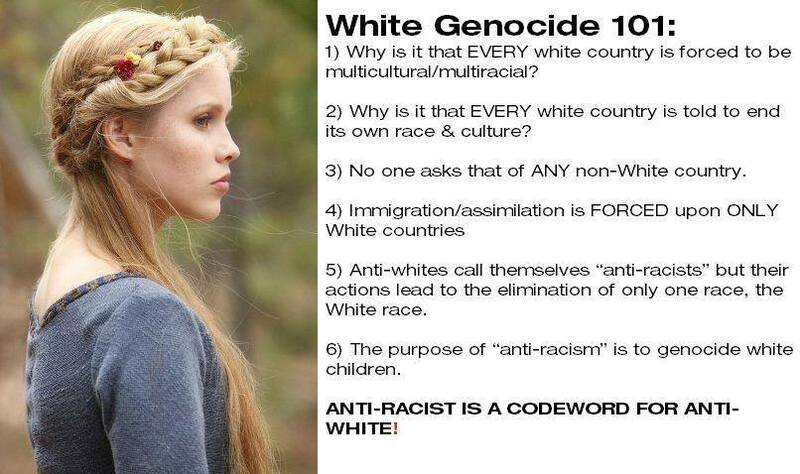 The White European / Aryan DNA is very beneficial to the planet – some of the most advanced DNA on the planet. 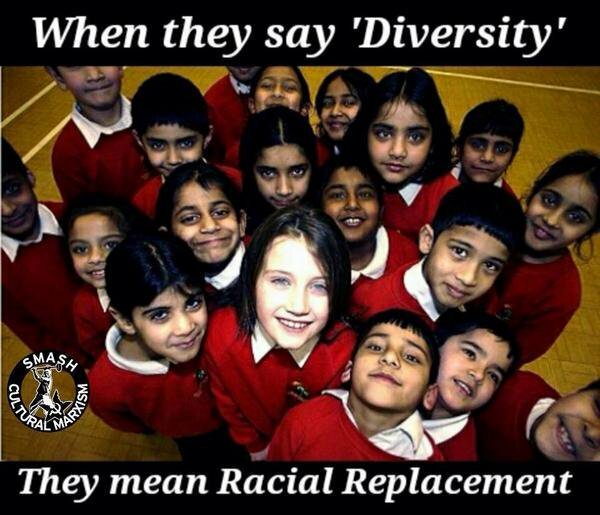 And certain types of more advanced Souls can incarnate onto this planet due to the Aryan DNA here. Multiculturalism does not align with Cosmic / Metaphysical Truth and Natural Laws – when you do not observe and align yourself with natural laws and with nature you devolve. 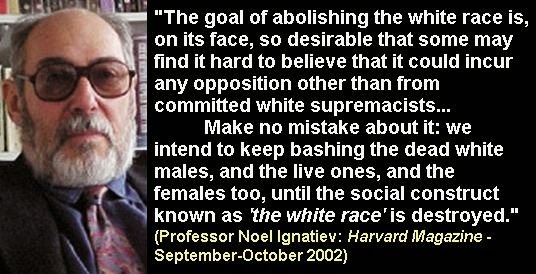 The anti-White brainwashing is incessant. We can see how much of the universe works by observing nature – we are a Souls but we are also biological beings – and we are a part of nature – subject to natural and metaphysical / cosmic laws. When we move away from living in harmony and in balance with nature, and neglect its laws, then we devolve, regress and suffer. Nature is our teacher. Our DNA, blood and genetics appears to be very significant – it connects us – when we are very conscious we can understand this both intellectually and also emotionally, and can feel the significance. Our blood and DNA holds genetic memory. 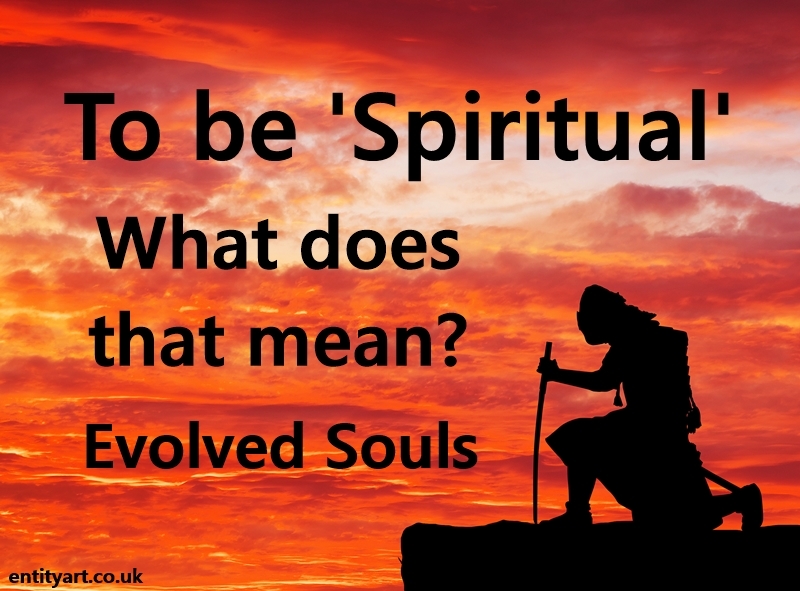 Our Soul and DNA is connected, this Soul DNA relationship is significant in ways we don’t yet fully understand. One of the problems we have on this planet is that we have a variety of different races of humans, with different DNA and Souls: Racial Soul Groups with connected Genetic Memories. 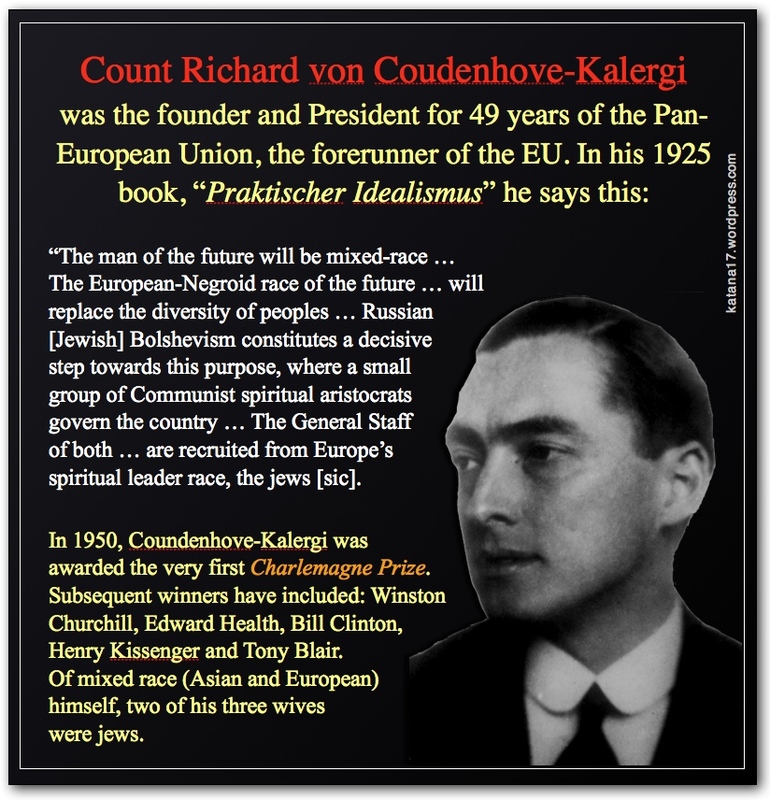 All these many different racial groups all on the same planet: I feel this is highly unusual in the galaxy, to have so many races on one planet – it’s almost like it has been set up… because we did not all evolve from apes or all come out of Africa, that is all pure disinformation and lies, total deception. The universe is so much about surviving – the survival of a race or species. 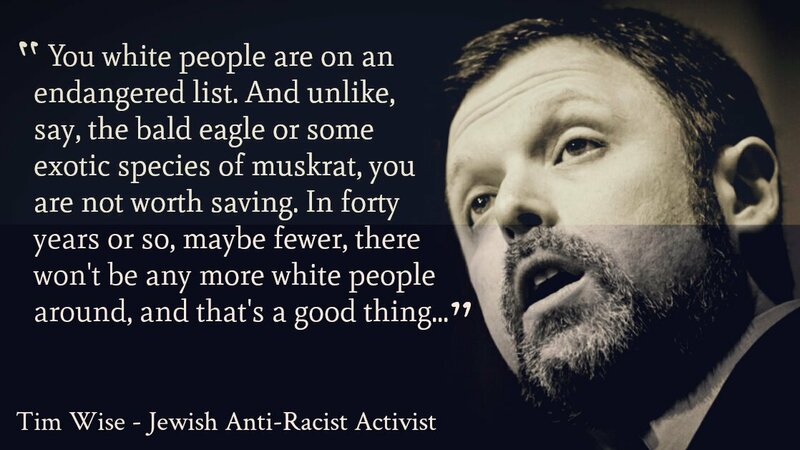 It’s about evolving as a race or species. It is about striving for knowledge, understanding, self discipline and excellence. It is about ascertaining that which does not serve the greater good of the people / race / community. It is also ascertaining what threats you face as a people. There is that which elevates the people, that which elevates and enriches the Soul, and that which secures the survival of the race and their civilization – and then there is that which regresses it and harms its future. 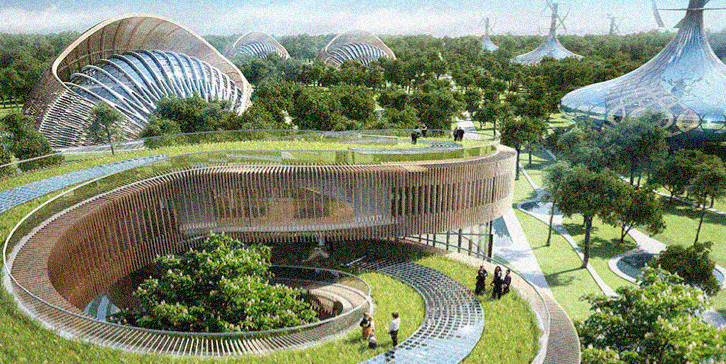 The solar system, galaxy and universe is all about nature – the laws of nature. An evolved Soul that loves deeply and reveres nature and life – also hates evil and fights against it. It works against that which destroys life, that which suppresses life and that which goes against nature – and it fights and works against those that cause unnecessary suffering to its people, to its race, its extended family and Soul group. There are consequence for our actions in this universe, our actions have meaning and there are meaningful repercussions. Altruism and love is important in terms of survival. You love your family and your race, you are altruistic to preserve your people, to advance your people. You are selective with who you help, you can’t afford to be naive. And this certainly doesn’t mean you don’t ever help people of other races and communities – good relations between races and nations is of vital importance. But it is about finding balance and prioritising. On this planet your love and altruism is often manipulated by evil or distorted souls. 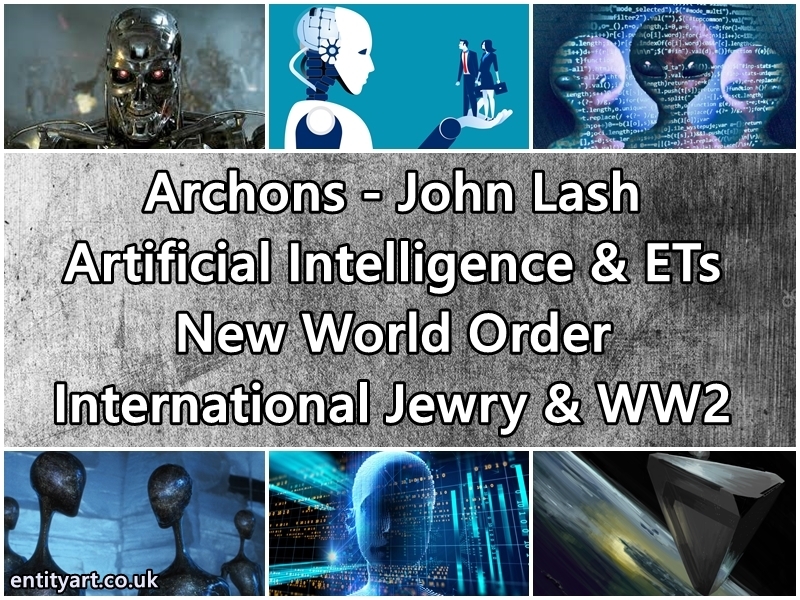 We are not ‘all one’ – this phrase is just jewish mind control. In the universe your race’s DNA is very important – you look after it and nurture it – and you make sure the people within your race with the best DNA can reproduce, so that your race can progress. This is just nature and common sense. We do this with animal breeding groups all around the world. Humans are also biological beings. You are merely creating better vessels for Souls within your racial Soul group to incarnate into. The purpose of each sentient civilization is to rise to the stars and move out into the cosmos. Nurturing and protecting your race’s DNA is going to be a very large part of this. Inspiring a people who have a natural spiritual connection through their related DNA and Souls to work together, for a greater goal – the greater goal of elevating and advancing this race and community of people – this is extremely conducive to having a happy, peaceful and abundant nation. And I am sure that this is what occurs in the successful sentient civilisations in the galaxy and universe. 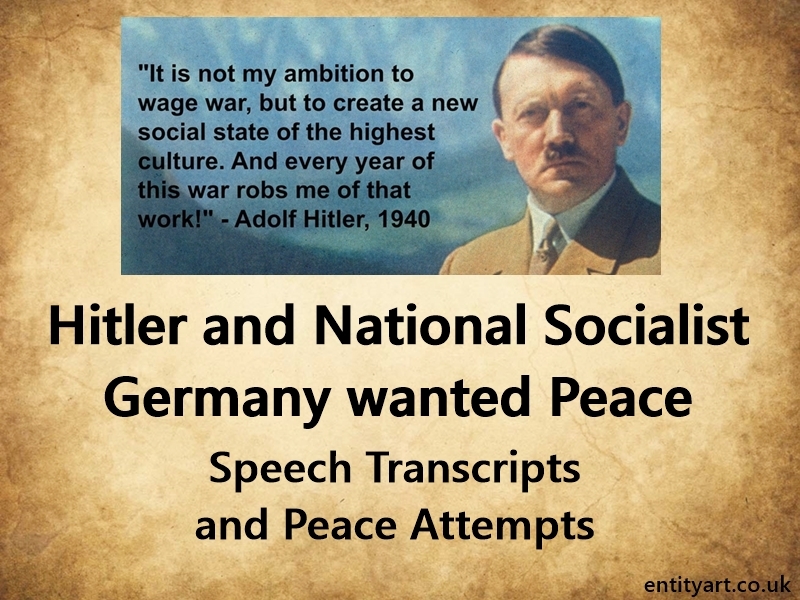 It is also what occured in National Socialist Germany. 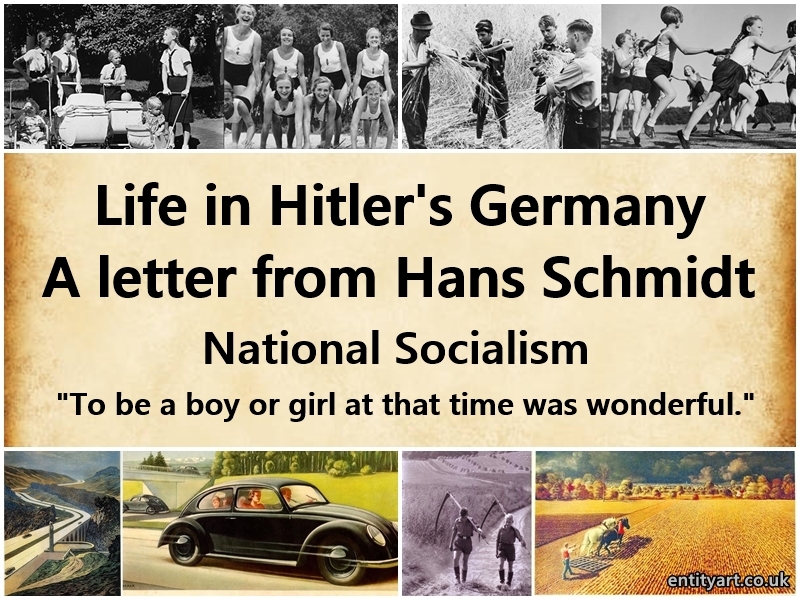 National Socialism was and is the most cosmically, spiritually and metaphysically true system that ever manifested on this planet – that is why it was so hugely economically and socially successful. 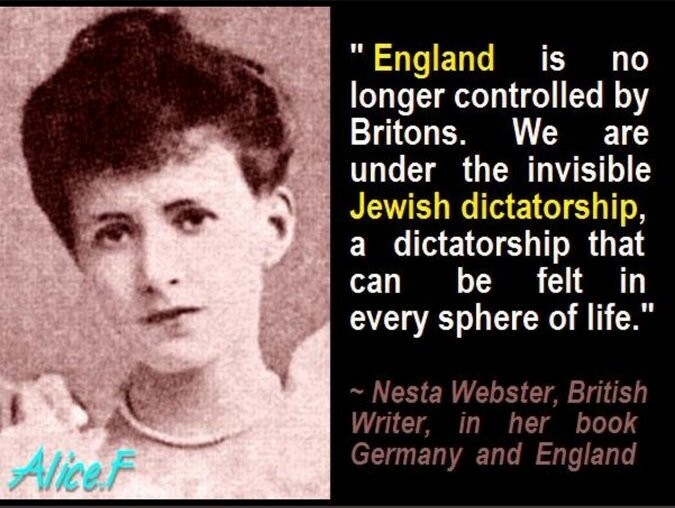 And that is why it was destroyed by (((them))), and it is why you are incessantly lied to about it. People naturally feel relaxed and comfortable when in the company of their own people, with their own race. It is important for each race to feel they are safe and have a nation and homeland to call home. All this immigration is causing unease and distrust around the world – it causes great friction between the races. Each races’ progression is being subverted – and some more than others. Races should be working together in their homelands, to progress it – not abandoning their race to go and benefit from another races civilization. As mentioned, I have lived with, and grew up with, multiculturalism. 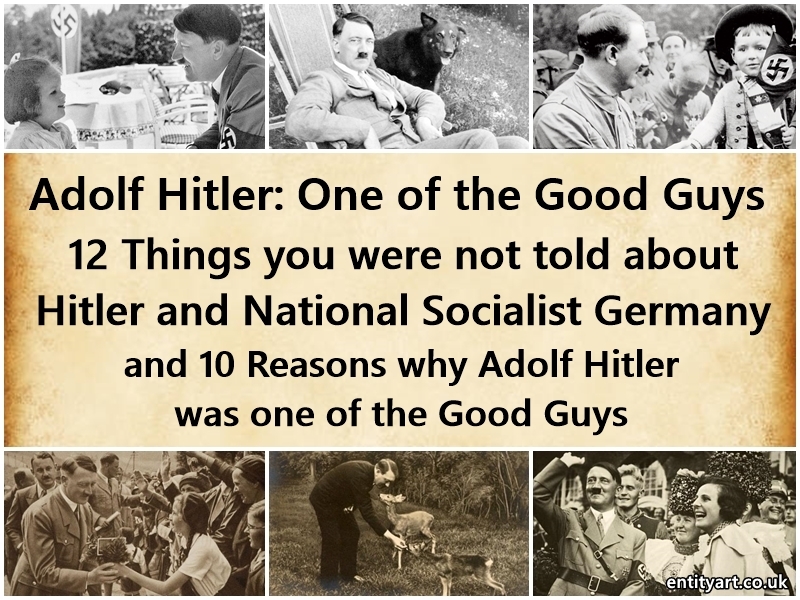 I have met nice people, decent people, from other races (naive people, not very conscious, just like most people – but most are not malicious and intentionally harmful) – and just because there are good people in other races that certainly does not mean multiculturalism is good for a Nation. My Mum was a registered childminder and at one point she looked after Ugandan children – refugees – and I would help out. I always loved children and helping them, even when i was young – hence why I became a teacher. Now I am awake I ask: Why do they go from Uganda all the way to England?! Why could an African country not take these refugees in? 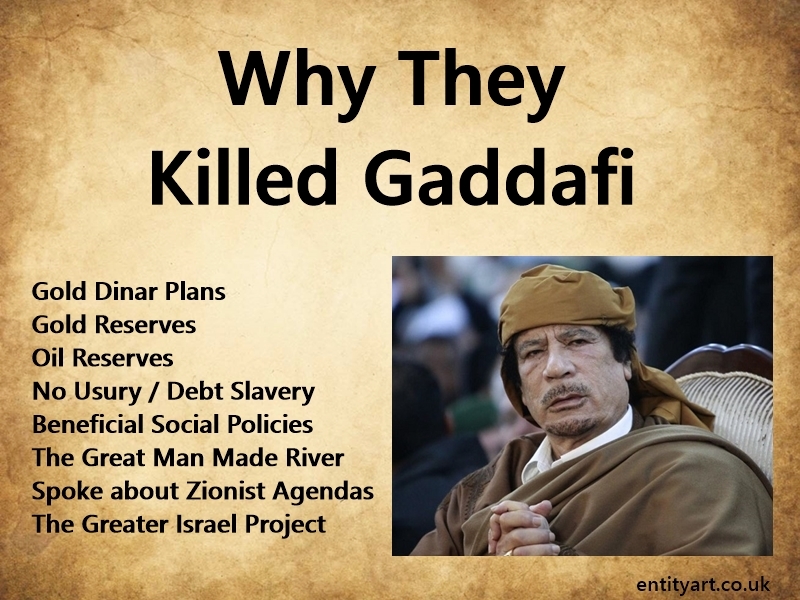 An African country that did not have a civil war occuring. This makes sense all round logistically, psychologically, socially, ecologically, spiritually. These children’s families could then go back to their own people very easily when the civil war had stopped. 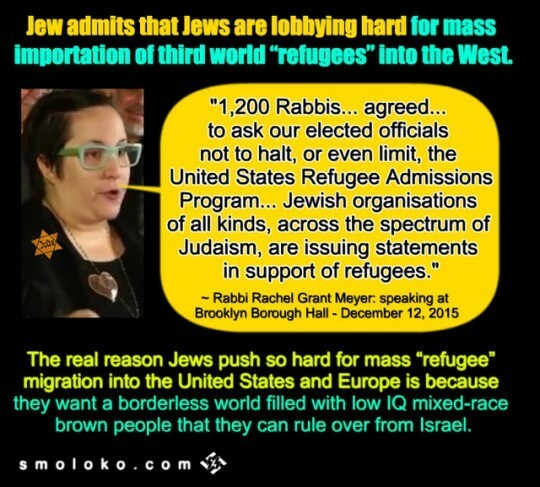 But no, this common sense doesn’t serve the agenda of International Jewry and the Zionists who want to dominate the world and get rid of the Aryan / White European DNA and their bloodlines. As mentioned on my list – you have a wide variety of races who come to European countries to benefit from European Civilisation – and one of the reasons is the money is worth more – so they send it home to their families. I have directly experienced this on numerous occasion – I have met a wide variety of people who did or do this through the various jobs I have had in and around London – from Africans to South Americans – all sorts of people – many of the people will tell you openly they do this. 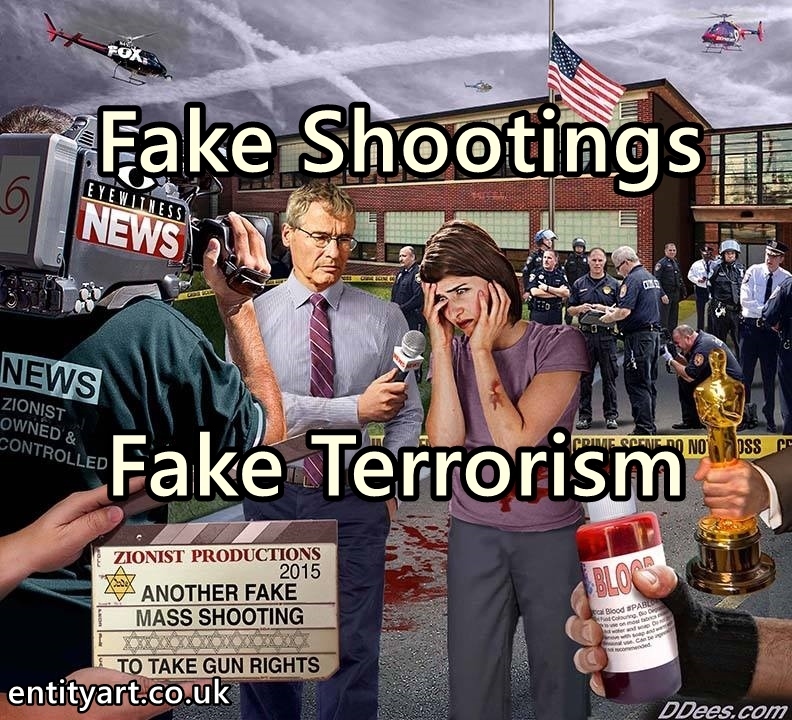 This is absolute madness – why is this occurring? How can that possibly benefit the European Nations? The borough of London I grow up in was mainly White when I was young – at least 90 percent I would say. If I go back to where I grew up – and I have – the high street looks more like Bangladesh or India now – and not a rich part of these countries either – the shops are all ‘ethnic’ as is the population – you would be hard pressed to spot a White person. 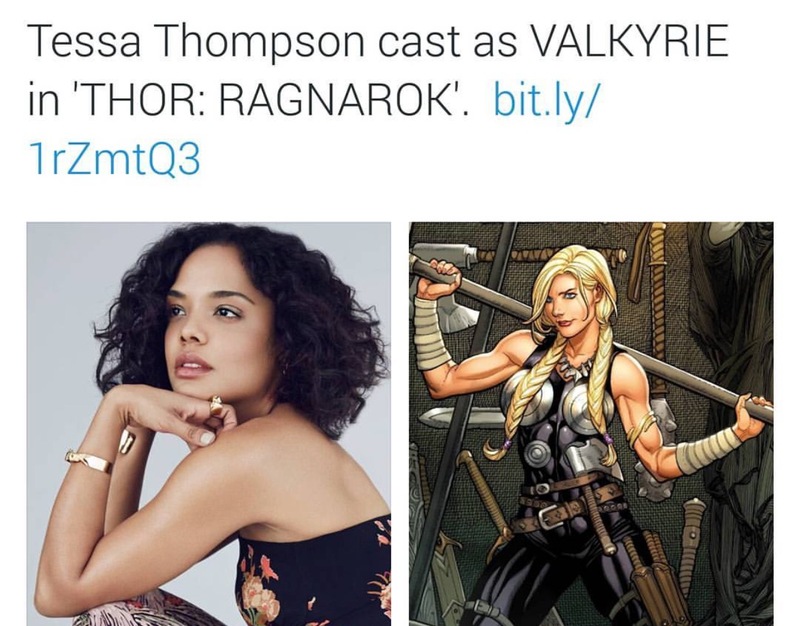 How is this fair? How is this right that this is happening? White Flight is very real. All the people i grew up with and my relatives: aunts, uncles, grandparents etc who lived in the area, they have moved away. Everyone we knew from the area has moved away. Whole communities of White people – a few generations – just gone from the area. Where do White people go when these Indian, Pakistani, Bangladesh and Black communities expand and begin moving out of London and other major cities? It’s not like people say ‘Oh, here they come – we’ve gotta get out of here’. I don’t know any people like that – people aren’t generally like that at all. The area just simply devolves and gets rough – more crime – less courtesy and respect – the property de-values… etc etc. White flight is not through hatred – it is just natural for people to live with their own, and in communities where people share the same values and mindsets. This is what these ethnic minorities are doing – they are congregating – it is OK for them apparently, but not for White people. Growing up around London what kids generally mugged other kids? It was usually groups of black kids – they were the main culprits – I have direct experience of this as well – as a child or teenager it is pretty traumatic getting mugged – surrounded and threatened with knives. 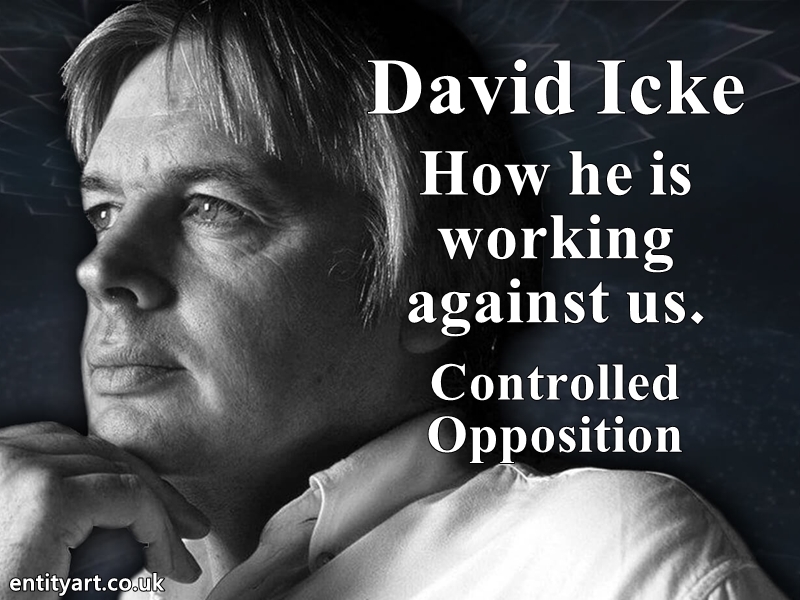 This is just the truth – but we are not allowed to say it apparently. An interesting incident related to this is when France won the 2018 football world cup. Some of the black communities in the cities celebrated this victory by rioting and looting. Two ethnic groups celebrated very differently. Are these African immigrants French? No, because being ‘French’ is a having a certain type of genetics – certains strains of genetics make the French people. It was not French people who responded to a victory by rioting and looting. Just because you are born somewhere doesn’t mean you automatically become a part of that Race. Although this can come across as a crude meme it is still a very good one. 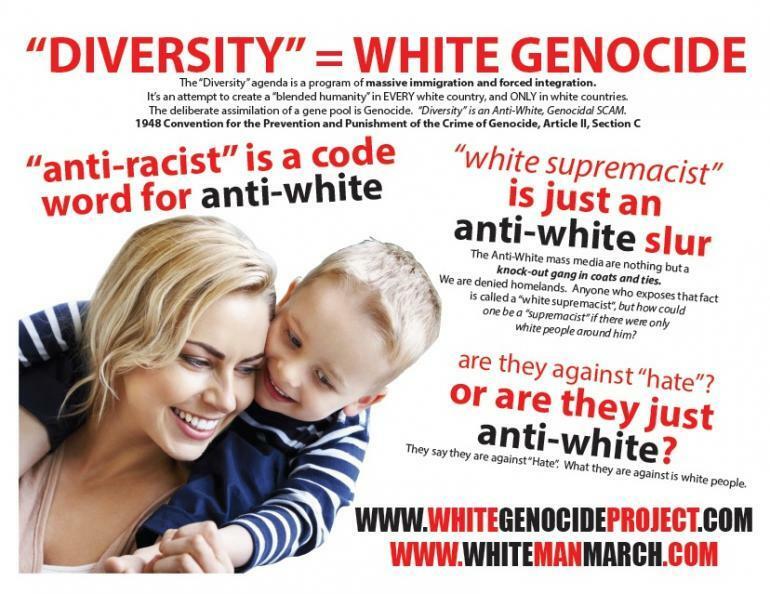 To be German is about having a certain type of White European Aryan Genetics. Who do all the Indian and Pakistani kids living in England support when England play India or Pakistan at cricket? India and Pakistan – I grew up with this. Of course they do. They feel more naturally connected to them as they are related. 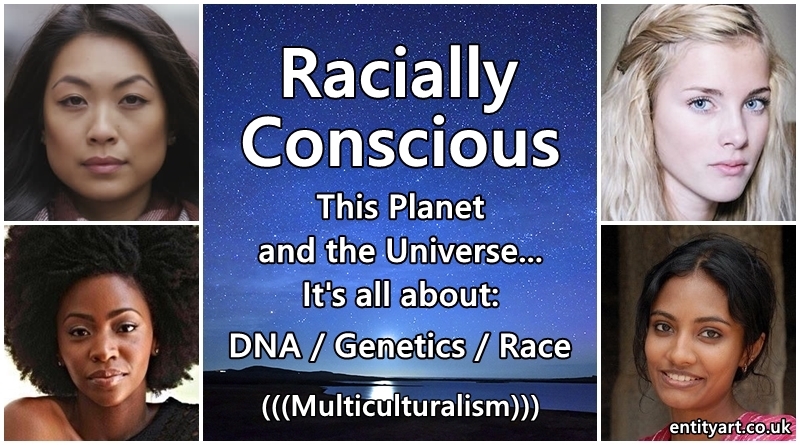 Because genetics and race is so very significant spiritually / metaphysically – it is also occurring on a subconscious genetic memory level – this connection. The allegiance to the race that built the civilization they are now living in will never be there – their true loyalty will always be to their own Race. 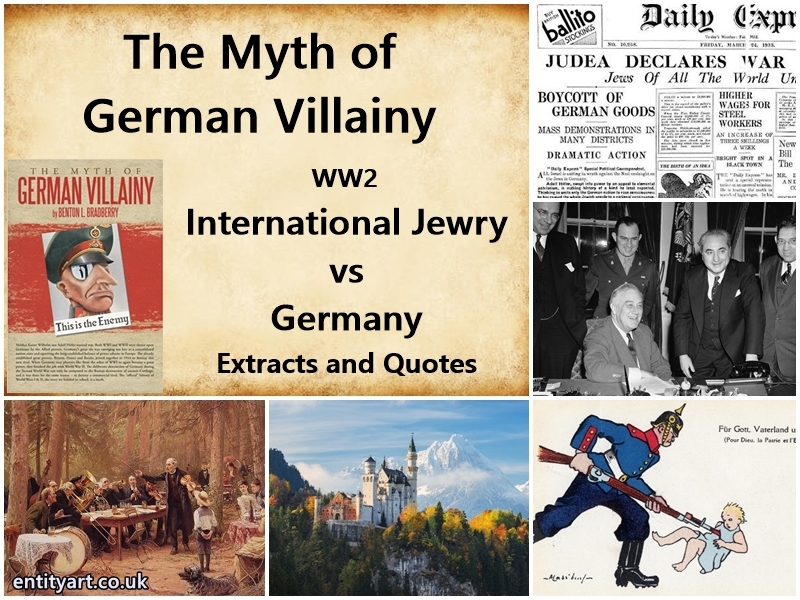 My Grandad fought for England in WW2 – he didn’t know that the National Socialists had actually done nothing wrong and tried hard for peace, and Britain had gone to war under false pretenses – and that the Germans are closely genetically related to him. But he fought for England… he did it for his people and the nation. He also worked all his life and paid taxes. Then when he was very ill in hospital in his nineties he was ‘looked after’ by people not from this country – nearly all of them immigrants who had not long been in this country – they were clearly people who worked for agencies – they did not care about him – I witnessed this – I visited him a lot, as did other family members. (This was in North West London – he hadn’t moved away from the area like the rest of the family) The care was awful. I even wrote a letter to the hospital. He actually developed beds sores due to the poor care… it was shocking for me to witness this. Hospitals never used to be like that in England. In a Racial / National Community this would never occur – as the metaphysical and spiritual connection between people would be very strong. I worked in a housing association before becoming a teacher. I saw people being housed from other countries that bring nothing to the country. Just collecting benefits and aid for housing. It is total madness. It is shocking how much effort goes into housing immigrants who aren’t working and just put a strain on our health services – sometimes old age pensioners from other countries. They have not even paid taxes over the years. Many old and ill people. You know, there are actually housing associations set up just to specialise in housing Ethnic Minorities – and they receive a great deal of funding from the government. (And the vast majority of these people are not refugees fleeing war… again I have first hand experience of this) And a good proportion of these properties are not looked after – I used to visit the properties as part of my job. I spent a lot of time trying to explain how to look after the properties correctly to people who did not speak hardly any English. I saw no reason as to why these people were being housed in this country. What benefit did it bring to the Nation – other than draining it? I remember growing up as a kid in the eighties – it was cool to be White then… on the TV shows, in the Movies, in the pop music. Then we had hip-hop culture constantly pushed upon us – onto White countries – as the music industry is now totally owned by jewish people. Of course I didn’t realise this as a child – I listened to the music that was pushed into my face and promoted – just like everyone else. But that was what happened. In the eighties before this massive push of Black culture you actually mainly had White men and women making music in the UK and America. Go look at the eighties music. 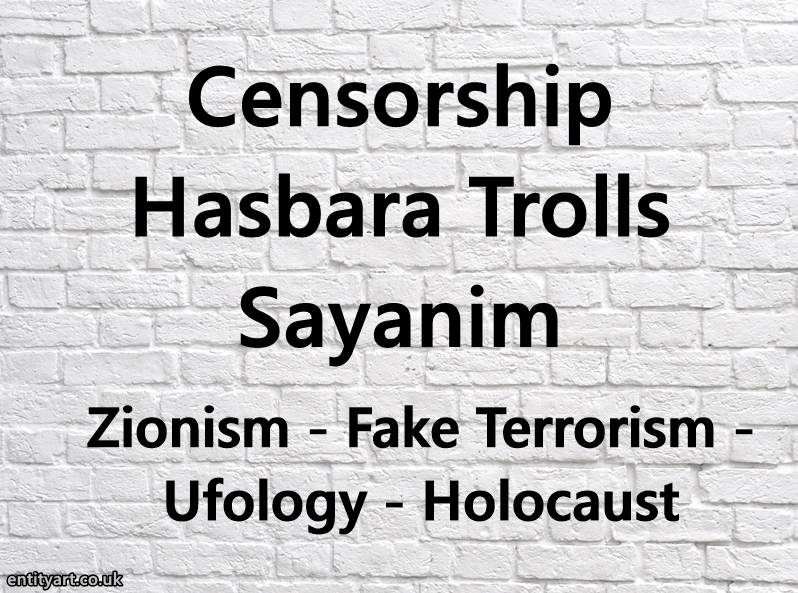 The musical tastes of the youth did not evolve organically – those who control the media control the people – and International Jewry now control it all. At one point all the indie rock music channels on cable in the UK disappeared – they were taken down – this was White rock or folk-like guitar music – and then all that was left was the modern degenerate ‘pop’ music and hip-hop / rap music channels. These indie-rock and indie-folk music was popular at the time but (((they))) wanted to promote other music. This was all on purpose. Now ‘popular music’ is full of degenerate, subversive hip hop / rap and degenerate highly controlled ‘pop’ stars. 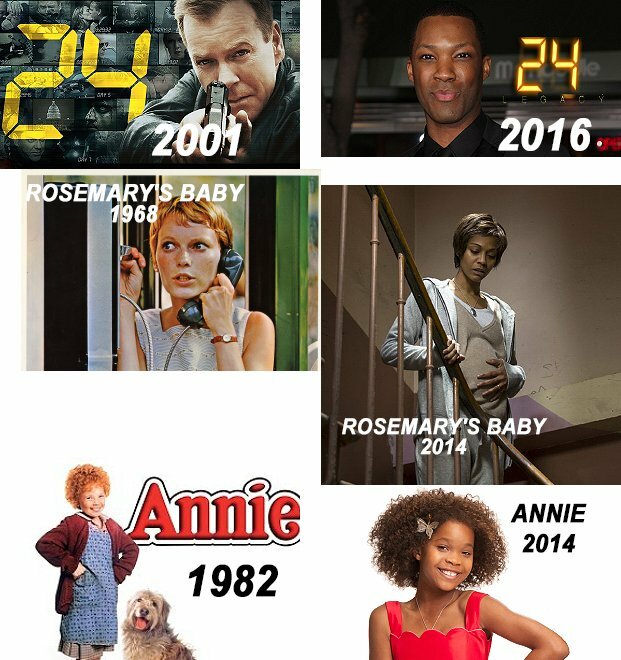 Now children in White countries are programmed via Hollywood and Television that the ‘coolest’ thing is to be mixed-race or Black. 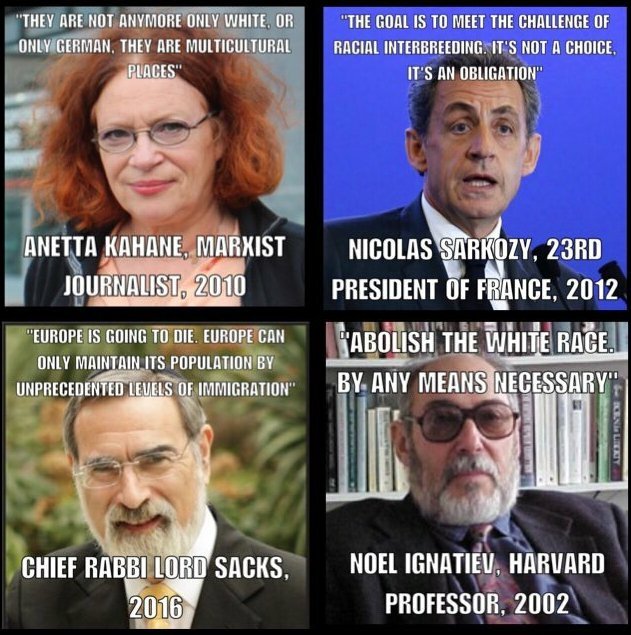 Now keep an eye out for the constant barrage of Mind Programming regarding Race, and the promotion of race mixing and multiculturalism for Europe and White Nations in the media – it is everywhere. 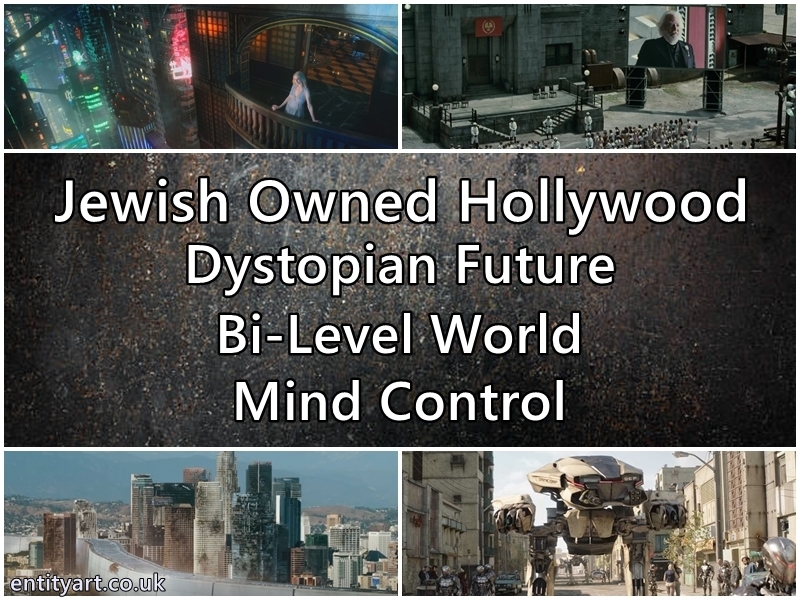 Who owns all the media – Hollywood. TV Networks, Netflix, Amazon, Publishing Companies, News Outlets? 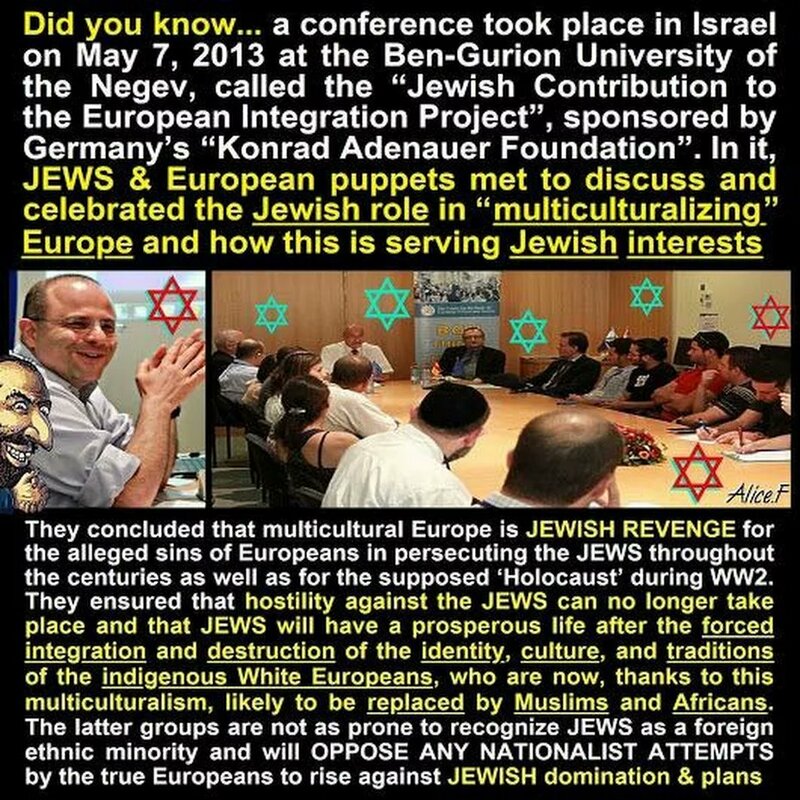 International Jewry do- and it is absolutely proven and conclusive that they are behind the White Genocide Agenda. 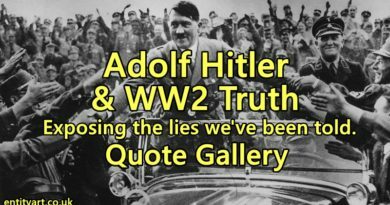 The massive distortions and enormous lies about European History. 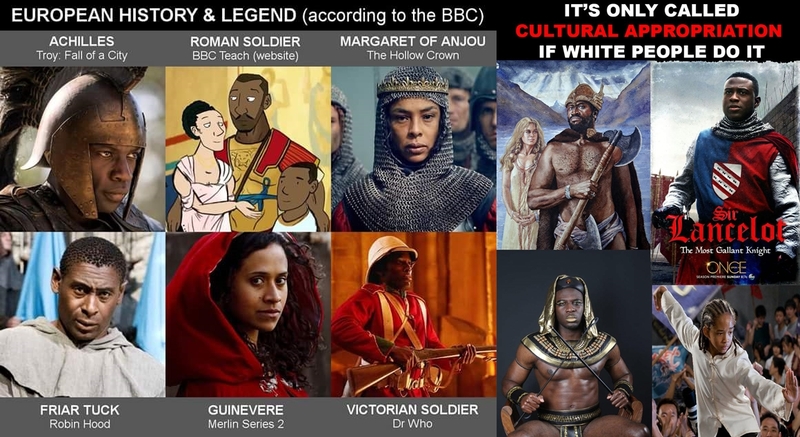 Promoting this massive lie that White Europeans have no culture and traditions. Promoting this notion that White people don’t have ancient spiritual traditions. 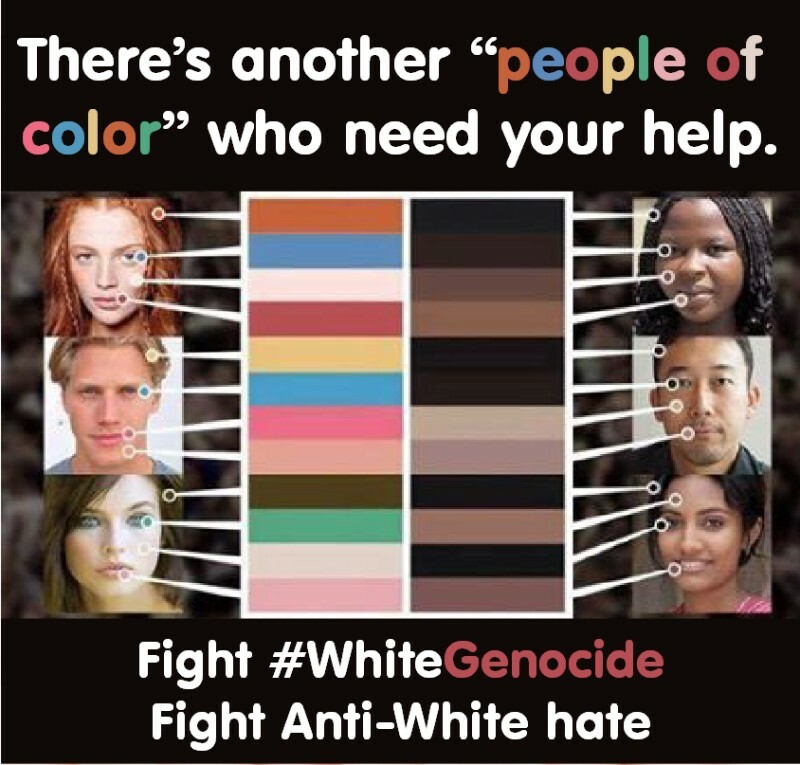 Promotion of Race mixing / miscegenation for White people – mixed race families and mixed race couples in almost every other advert – and in most Hollywood movies, or TV series etc. 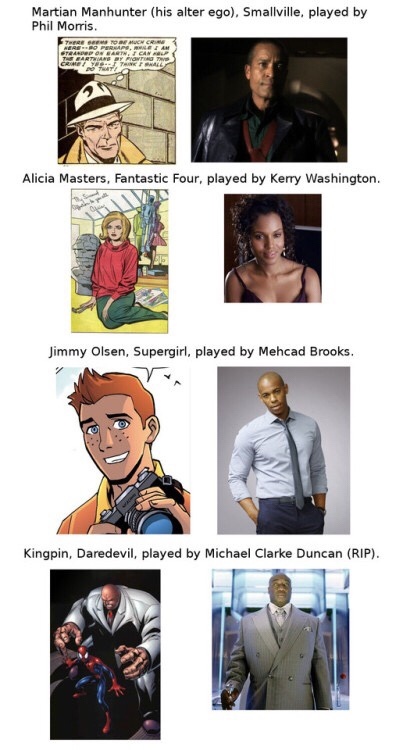 Positivity and promotion on TV for all other cultures above White culture. 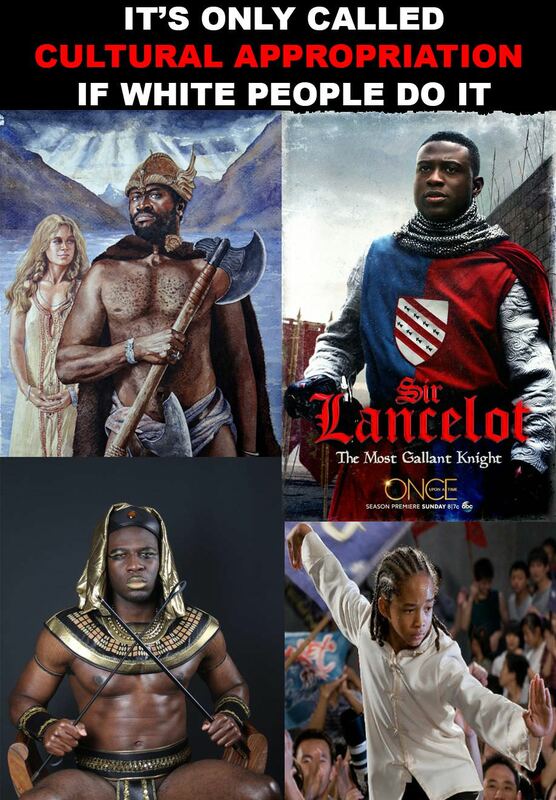 White Men portrayed as incompetent or buffoons in adverts – Black men as more competent, more cool and more virile. 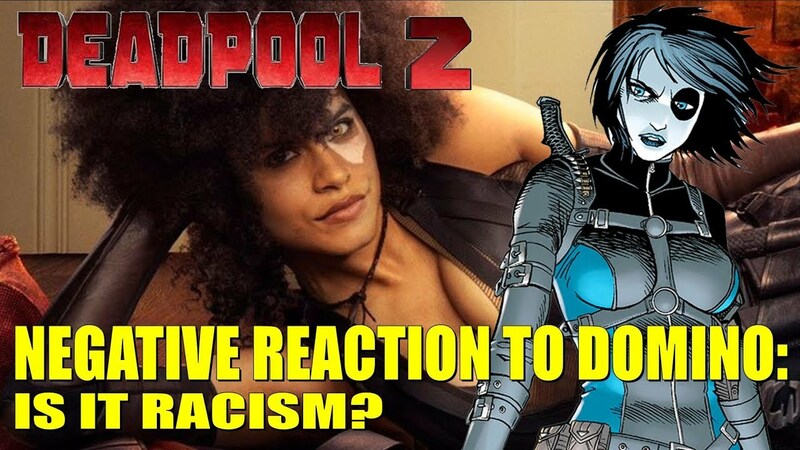 The vilification of any White person who is racially conscious. 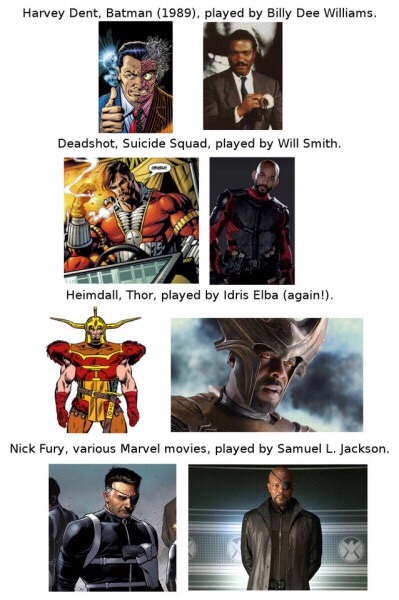 Novels and Books that are made into Movies often have the ethnicity of the characters changed by the jews who run Hollywood and Netflix etc. White people to Black people or Mixed Race or sometimes to Asian. 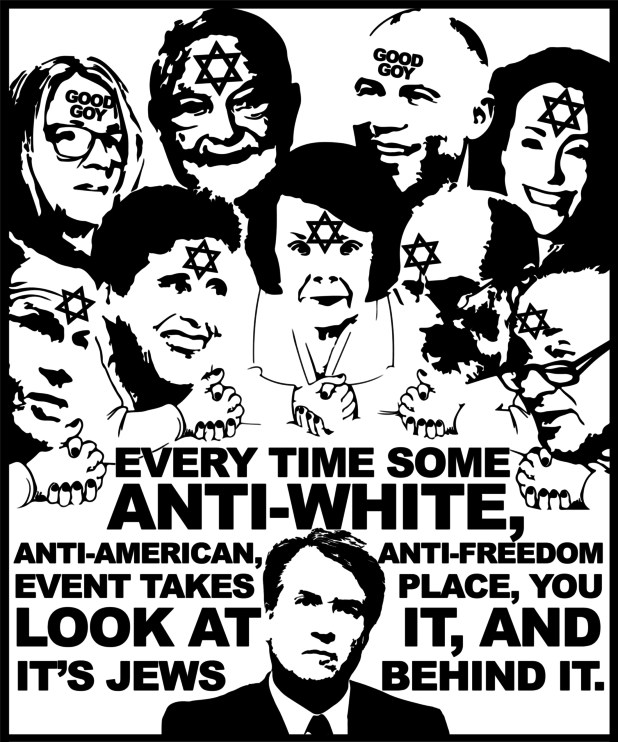 Pretty much no roles for White people in Hollywood and on Netflix and Amazon etc – those ‘White people’ you see in Hollywood are jewish – do some research, they are nearly all jewish. 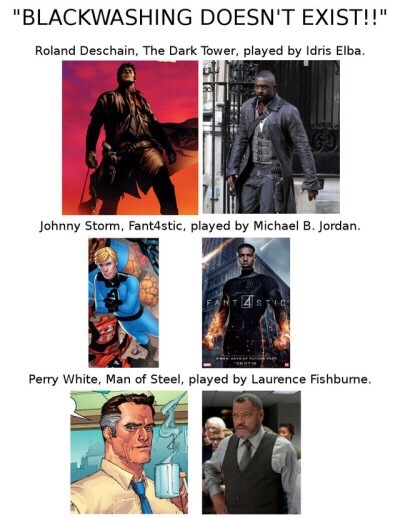 Here are a few images regarding black-washing. 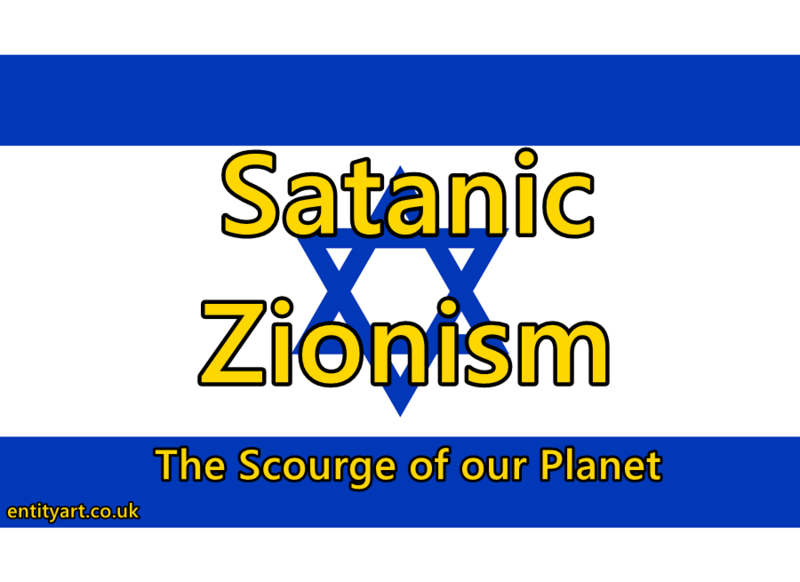 It is International Jewry who is doing it – they own all the media outlets. 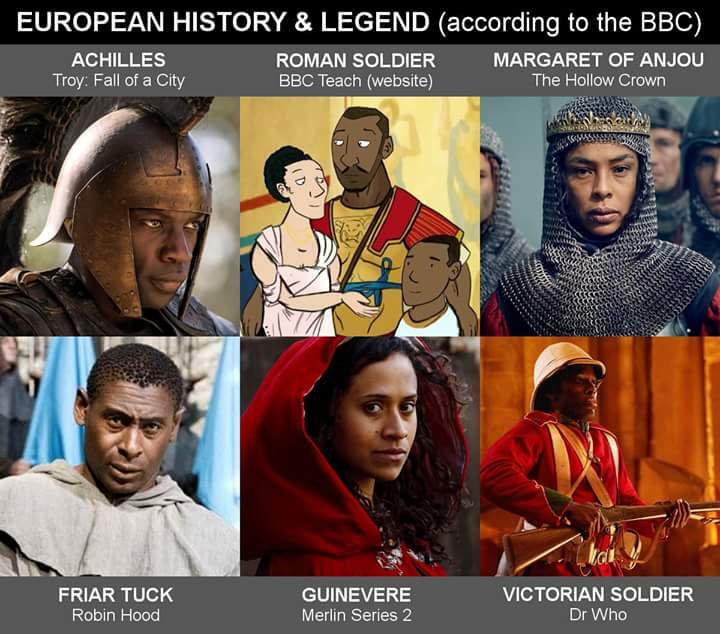 I am sure you don’t need images from adverts of the promotion of mixed race couples or mixed race families – just turn on your TV if you are in the UK, the US, France, Germany etc etc… and just observe. 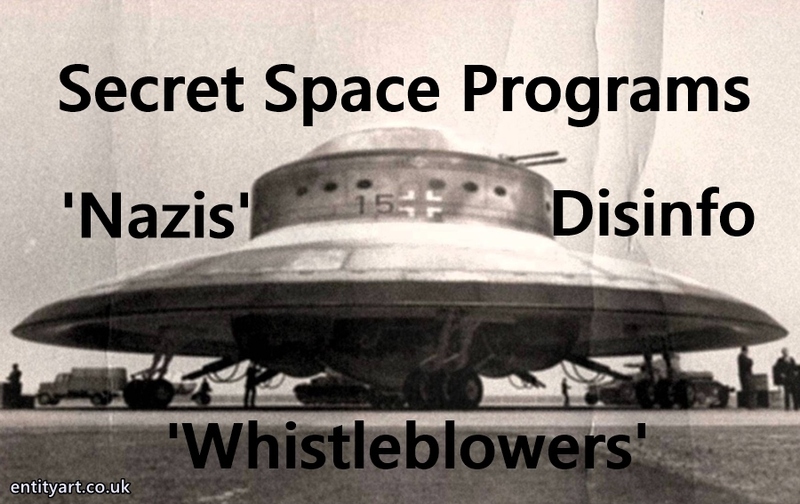 Hopefully this essay helped people see more clearly what is occurring.